In this article, I would like to approach emergency plumbing from a different angle. Today I would like to discuss some of the most common plumbing emergencies, and what you can do to sort of stem the flow (so to speak) until the plumber can get there. This is by far the most common plumbing emergency the average homeowner experiences. It usually starts with a toilet that just doesn’t seem to want to flush correctly, followed by a sort of burbling, and finally the toilet overflowing onto the bathroom floor. The biggest problem with a mainline backup is that it can often be mistaken for a regular toilet blockage. The symptoms look almost identical at first, especially to the untrained eye. The easiest way to tell if it is your Main line that is backed up, is that often a tub or shower will also refuse to drain. Often, when a sewer main is backed up, not using any water in the house for a while will allow the line of partially drain. Sometimes the line will drain down far enough where it appears as though everything is working correctly again. Usually a few flushes of the toilet will demonstrate otherwise. Keep in mind that any water that goes down a drain in your home will backup into the lowest fixture in your house. That means that if you have a toilet downstairs and your sewer line is backed up, flushing the upstairs toilet may very well flood your downstairs restroom. The best thing that you can do here is to stop using all water and call a plumber immediately. Having a water line burst inside, or even outside, of your home can be one of the scariest plumbing emergencies that a homeowner can experience. 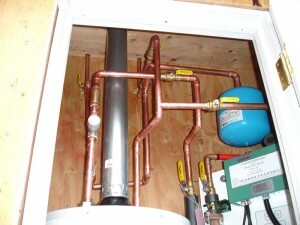 Water supply piping is all over your house, is pressurized, and is mostly hidden from view. Unlike a sewer main backup that starts draining slower and slower before it finally backs up completely, a water pipe bursting often gives no warning whatsoever. One day everything is peaches and cream and the next day you’ve got a flood on your hands. When faced with this particular type of plumbing emergency, you need to immediately focus on the one thing: shutting off the water. There are usually a number of ways to get this accomplished. 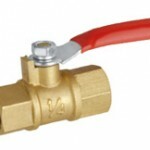 If you have a Main shutoff valve at the front of your house, this will be the easiest way to shut your water off. If you have an older gate valve, it will have a circular handle on it. You want to turn this handle clockwise to turn the water off. Remember the old adage, “righty tighty – lefty loosy”. 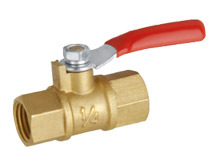 If you have the newer style ball valve, the handle will look like a lever. Turn the lever one quarter turn, which will shut off your water. The second option would be to turn the water off at the meter. The water meter is where the local utility company goes to read how much water you’ve used every month. 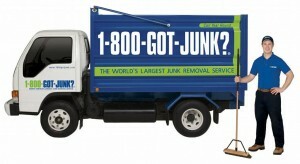 Often times turning off the water at the meter can be extremely difficult without the proper tools. For this reason, if you do not have a shutoff valve at the front of your house, I recommend that you go to your local hardware store and buy a meter key. It is always better to spend a few dollars on a tool you may never use, than not have the key when you need it and suffer thousands of dollars of water damage. Turning off the gas to your water heater, either with the gas caulk or setting the control unit to pilot, will keep the water heater from firing on a partially empty tank. Opening up all the hose bibs outside of the home will allow residual water from inside of the water pipes to drain outside instead of inside. As far as emergency plumbing situations go, having a gas leak inside of your home is by far the most dangerous. Not only is natural gas very combustible, so that little more than a tiny spark can create a huge explosion, but breathing the gas can kill you. Natural gas itself is odorless. Odorant is added to make it smell like rotten eggs so that we’ll know when we have a gas leak. Most homeowners, when they smelled gas, have a natural tendency to want to call their utility provider (here in California, it’s Pacific Gas & Electric Co.). Believe it or not, that’s not usually the best idea. Most utility companies will not fix a gas leak if it is in your piping. Usually, they will just let you know if you have a leak, and sometimes the general location aware that leak might be. Then they will shut down your gas, and will often insert a device so that it may not be turned back on. The reason this is not always the best option, is because most plumbers need to be able to turn on the gas to find out where the leak is coming from. If you smell a gas leak in your home, or around your home, there is one thing that needs to be done immediately: shut off the gas! 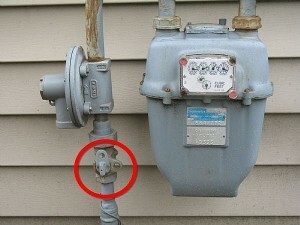 High on the list of objects in your home that you need to know how to locate and operate is the gas meter. 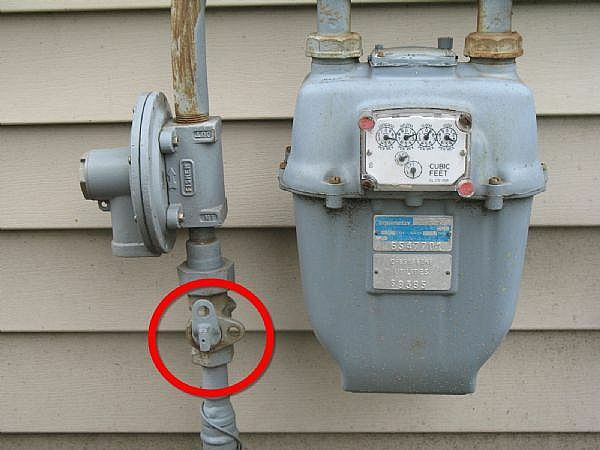 Each gas meter will have a shutoff valve that usually shuts the gas off with a quarter turn. Most home improvement stores carry emergency gas shutoff tools. Personally, I have always used a large crescent wrench. I know this doesn’t even begin to scratch the surface when it comes to all the possible combinations of plumbing emergencies. In this article, I basically wanted to cover the top three. As always, the comments area is open, as well as a form. I welcome your questions and suggestions on other topics that you’d like for me to cover. Until then, I hope that this article has allowed you to at least be prepared for these three emergency plumbing scenarios. WP is awesome for spam filtering. I use Akismet for WP and it is fantastic. 1) Shut of the breaker if the hot water heater is electric. 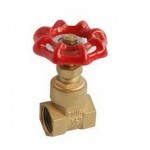 2) Make sure that you have a backflow preventer installed. To the article above, I think it’s important to know your house. For example, I know that if I have any water issues that I will have to shut my water off at the meter. Why? Because I have only gotten around to replacing a few or the old valves that are clogged or worn out. If I can get one of them to shut off, they will have to be replaced after that one use. It’s important to have a plan of action in the event that you have an emergency, especially if you know little about home maintenance.